Dennis Avery Dyer, 65, passed away on Tuesday, November 13, 2018. He grew up in Trion with his loving family. 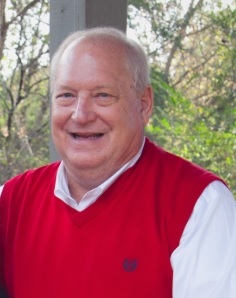 Dennis was a lifelong resident of the North Georgia area. He was a graduate of Trion High School and Berry College. Earlier in life, Dennis taught and coached at Gordon Lee High School. He worked as an insurance agent for 38 years and also attended Silverdale Baptist Church. He is preceded in death by his parents, John and Myra Dyer. Survivors include his loving wife of 38 years, Mary Ann Michaels Dyer; daughters, Laura (John) Whitely, Emily Dyer and Mary Beth (Josh) Tart; brother, Jerrell Dyer; grandchildren, Claire Tart, Maggie Tart, Greyson Whitely and Conley Jane Dyer; and several nieces and nephews. Funeral services will be at 3 p.m. on Saturday at the funeral home chapel. Flowers may be sent to the funeral home or memorial contributions may be made to the National Kidney Foundation. Visit www.heritagebattlefield.com to view the memorial page and to post condolences. Family will receive friends from noon-3 p.m. on Saturday at the funeral home. Arrangements by Heritage Funeral Home - Ft. Oglethorpe.